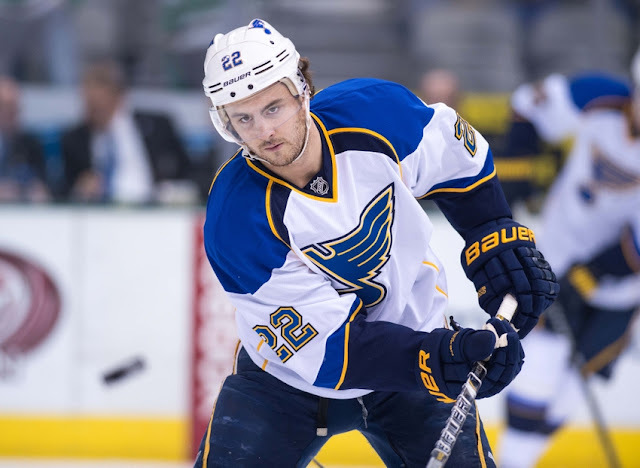 It's believed the Blues shopped Kevin Shattenkirk aggressively this summer, but try as they may have, he remains on the roster going into the season. The pending UFA likely gets used as an own-rental by the Blues as they hope to improve on their Western Conference finals appearance in 2016-2017. GM Doug Armstrong has always looked to upgrade his forward corps, having made a push for players such as Jonathan Drouin and Brayden Schenn during the season. If things go as they should, the Blues will be big time buyers at the trade deadline. The Wild find themselves stuck somewhere between mediocrity and Cup contention, and have aggressively looked to upgrade at center. Time will tell whether the addition of Eric Staal will do the trick. It's believed they were also interested in Ryan Nugent-Hopkins and Ryan Johansen, but those ships have set sail. If the Wild do make a blockbuster move, it's rumoured they're willing to part with Jonas Brodin or Marco Scandella to make it happen. The Predators have been one of the busier traders this past year, having made moves to acquire P.K. Subban and Ryan Johansen. The Preds are all in this season, and will be big buyers at the deadline. It's believed they might be looking to add another winger, having tried to re-acquire Scott Hartnell from the Blue Jackets last season. Basically everyone on the Avs not named Nathan MacKinnon was in trade rumours last season, as the team went through another disappointing campaign. Strong rumours indicating that Matt Duchene, Gabriel Landeskog and Tyson Barrie could be on the move emerged last year, although nothing came of it. With a new coach and approach, the opportunity is there for the team to put the rumours behind them. The Avs will be looking for defensive help as always, and are one of the teams kicking tires on Jacob Trouba. Pending UFAs Fedor Tyutin, John Mitchell and Jarome Iginla (if he wants) will garner interest if the Avs are deadline sellers. Many believed the Stars would look to shake up their goaltending this summer, with rumours emerging that they were considering using a buyout on Kari Lehtonen or Antti Niemi, or acquiring another in a trade. The Stars are believed to expressed some mild interest in the Lightning's Ben Bishop, but that's as far as it went. Ryan Miller and Marc-Andre Fleury are two other names that have been bandied about. If the two headed monster in net can't get the job done this year, expect change. At the time of this post, the Jets still haven't signed RFA defenseman Jacob Trouba. While he's expected to remain a Jet, there have been several rumours this offseason. The Jets will be in a dogfight to make the playoffs this season, as the Central Division looks as strong as it's ever been. If the Jets can't stay in the mix by the deadline, Drew Stafford, Brian Strait and Ondrej Pavelec are pending UFAs that could generate interest. Aside from that whacky Malkin to the Blackhawks story, the team has mostly stayed out of the rumour mill this offseason. With several rookies expected to join the team, including Tyler Motte and Nick Schmaltz, the 'Hawks roster needs may very well depend on how many pan out. As always, the Blackhawks will be looking for defensive depth, likely in the form of a rental.